The position of the Persian Gulf as the main highway between East and West has long given this region special significance both within the Middle East and in global affairs more generally. This book examines the history of international relations in the Gulf since the 1820s as great powers such as Britain and the US, and regional powers such as Iran and Iraq, vied for supremacy over this geopolitically vital region. It focuses on the struggle for control over the islands of the Gulf, in particular the three islands of Abu Musa, Greater Tunb and Lesser Tunb – an issue that remains highly contentious today. It describes how for 170 years Britain eroded Iranian influence in the Gulf, both directly by asserting colonial rule over Iranian islands and port districts, and also through claiming Iranian islands for their protégés on the Arab littoral. It shows how, after Britain's withdrawal, these islands became a pawn in the animosity and conflict that pitted, at one time, Arab radicals and nationalists against monarchical Iran, and, later, the conservative-moderate Arab camp against Islamic Iran. 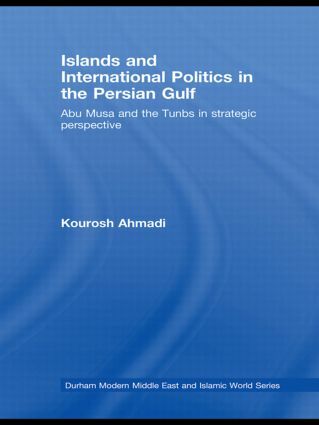 It goes on to explore the impact of the rise of American power in the Gulf since the start of the 1990s, its policy of containment of Iran and Iraq, and how this has provided encouragement to the ambitions of the Persian Gulf Arab littoral states, especially the UAE, towards the islands of the Gulf.